During the 15th and 16th centuries, the great royal houses of Europe sent explorers and conquerors all over the world, hoping to discover and secure new areas of influence and sources of wealth. Without the right naval vessels, these voyages would have been impossible. But even the incredible wealth of the royal houses could not sustain these expeditions for long. So they were happy that private entrepreneurs were ready to finance these expensive journeys. Now your king has come to offer you the opportunity to invest in the great voyages of the famous explorers like Columbus and Magellan. You will need to purchase a fleet of ships, and assign them to the most successful expeditions. Of course, you will need a lot of money! To earn money you must fulfill trade contracts. 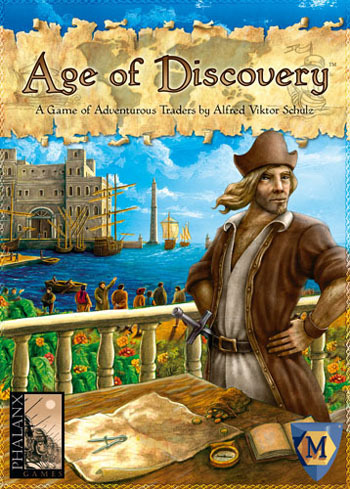 Can you balance the needs of trade with the demands of the great explorers? It is time to seek wealth and glory in the Age of Discovery!